A tour with a local in a foreign city where you don’t speak the native language is the fastest way to get acclimatised to your surroundings. 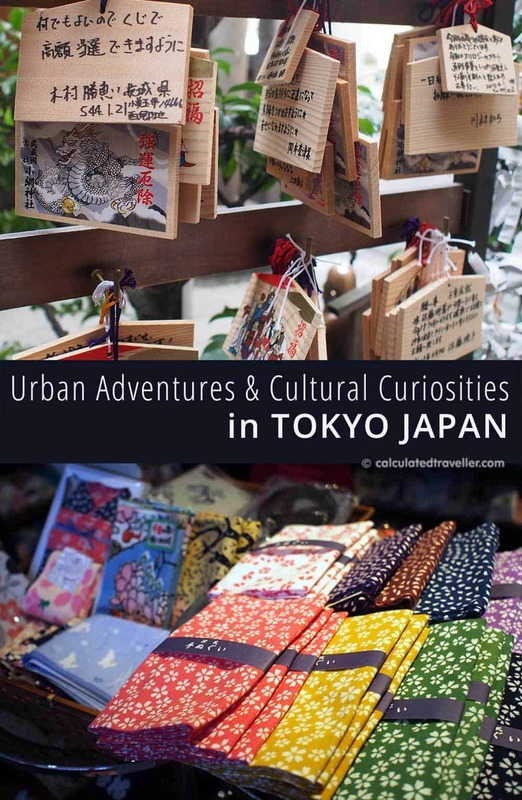 On our first trip to Tokyo, we had the opportunity to take a tour with Urban Adventures and enjoyed our time walking through the back roads and alleys of Ningyocho and Nihonbashi area of Tokyo. 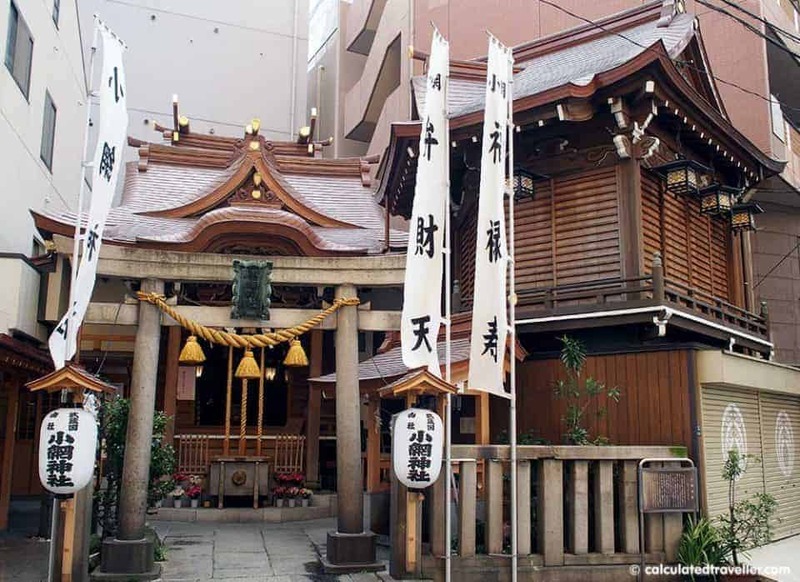 On tour we discovered generations owned family businesses, nibbled on traditional snacks and pastries, and learned a bit about the Japanese culture along the way. Silvia greets us with a smile as we run up huffing and puffing to the group of travellers standing under the clock tower. Apologizing for our tardiness, we’ve finally arrived at the CORRECT meeting location. The instructions were clear, and we arrived early, but we stupidly were waiting at the wrong spot! Luckily, Silvia waited for us, or we would have missed the entire tour! Our first stop was at for a tasting of traditional sweet red bean paste filled pastries at this tiny bakery established in the Meiji Era (1897). 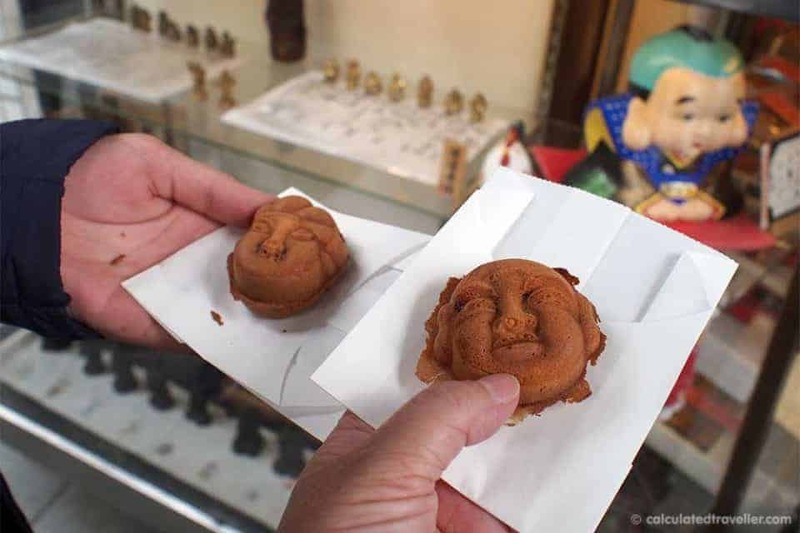 Each little cake is pressed into a wooden mould to imprint the shape and face of one of the Buddhist Gods. The same wooden mould that they used in 1897! Dating back to 1705, these silk pouches of incense make beautiful gifts so, stock up. You can get cheaper knock-off versions everywhere but they aren’t the same nor do they smell or feel as nice. 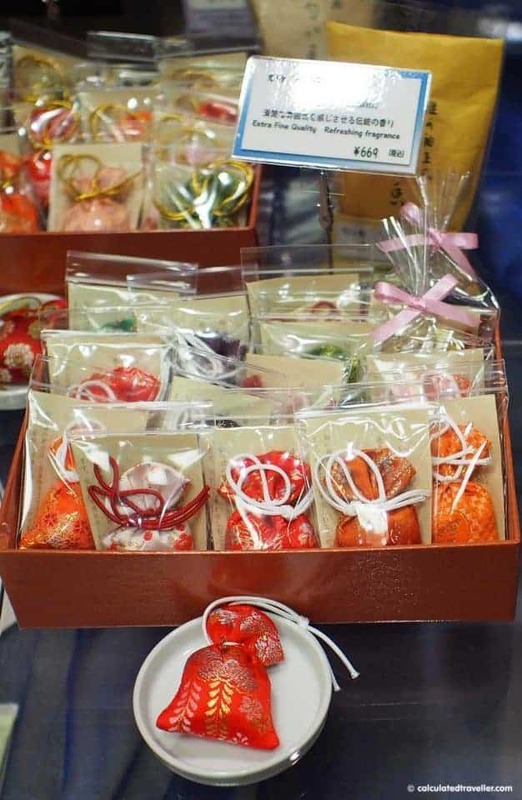 The only other place to get these same authentic silk pouches is in their other store in Kyoto. Another fabulous, unique gift item are these fancy toothpicks. Made the same way they’ve been doing it since 1704, each toothpick is hand wrapped in paper inscribed with a poem. 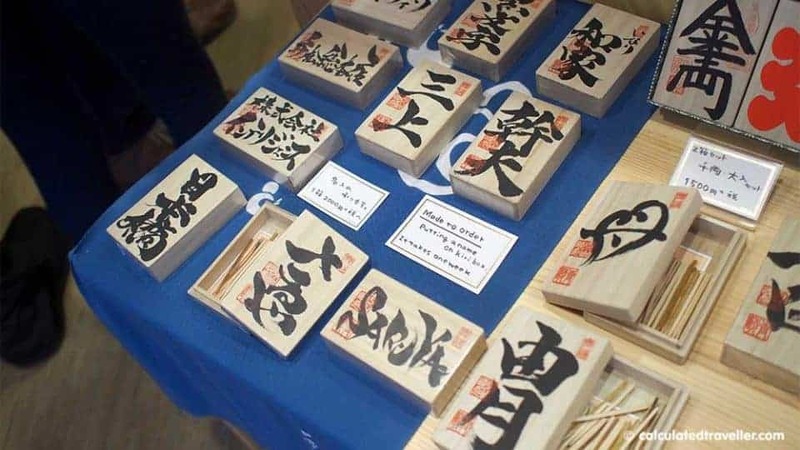 If you are visiting Tokyo for an extended period, you can order custom monogrammed toothpicks for that extra special someone in your life. 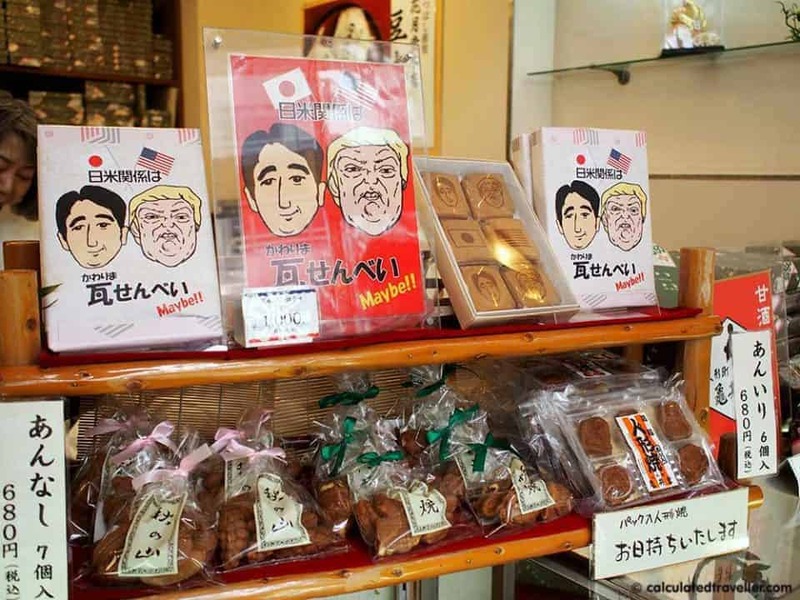 Traditional snack item with delightful (and humorous) decorations. 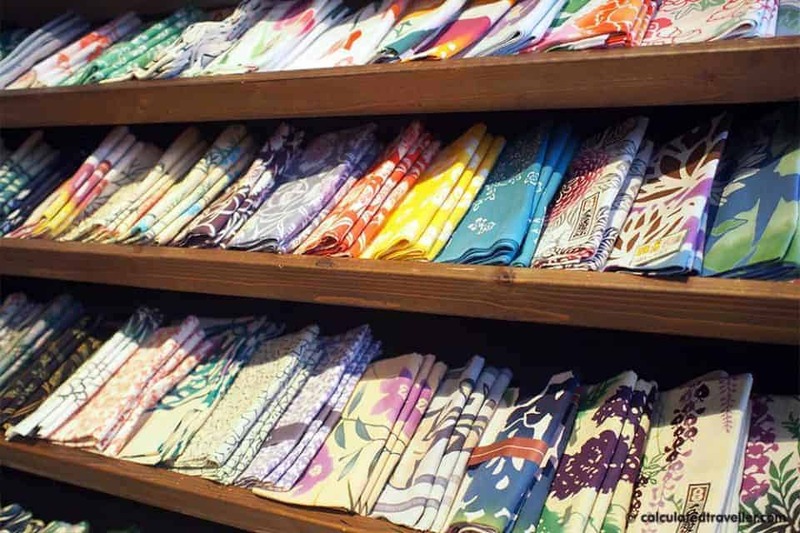 This unique shop specialises in woven hand towels that depict Japanese scenes and designs – both traditional and modern in style. You can find everything from cherry blossoms to Pokemon. 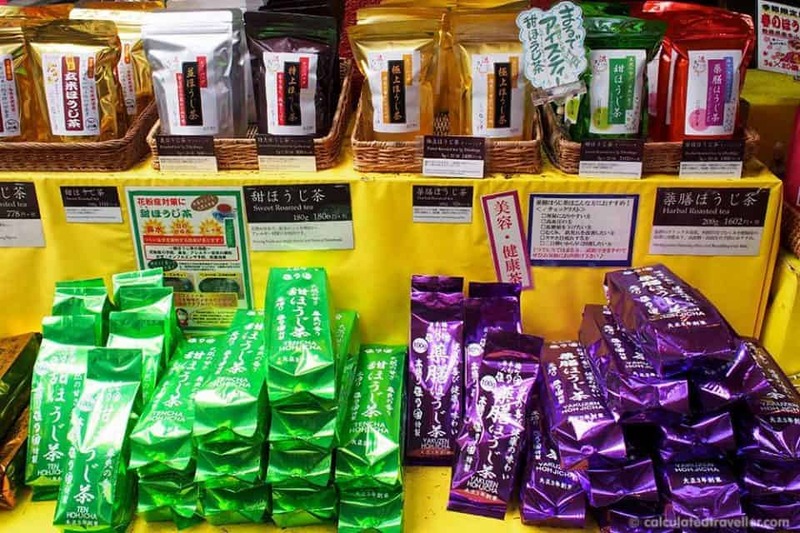 Vacuum packed roasted tea leaves of all different flavours. I was tempted to purchase the cherry blossom green tea (only available during cherry blossom season) as a souvenir of our trip. Here Silvia explained the significance of the various customs and shared the proper steps when praying and visiting. 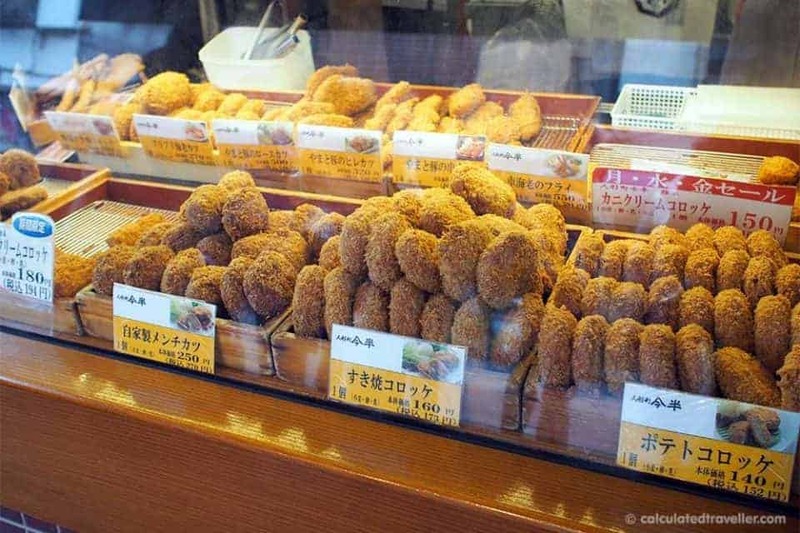 A visit to a neighbourhood deep fried croquette shop complete with a tasting. Sylvia was happy to answer any questions our group of 12 had about Japan and the Japanese culture, and we felt this was an excellent way of experiencing Tokyo with a local. Compared to other tours we’ve taken in other cities with other companies, we felt that there was more of a focus to shopping on this walking tour. There was no pressure to purchase anything at all, but we primarily visited one shop after the other. I was expecting, based on the tour description, to see more demonstrations and artisans at work. That being said, we had a pleasant 3-hour walk through the Ningyocho and Nihonbashi neighbourhood and visited a lot of local shops and tasted along the route. Not exactly a food tour but an excellent introduction to a unique area of Tokyo. We were guests of Urban Adventures who did not review or approve this article before publication. All opinions, as always are entirely my own.